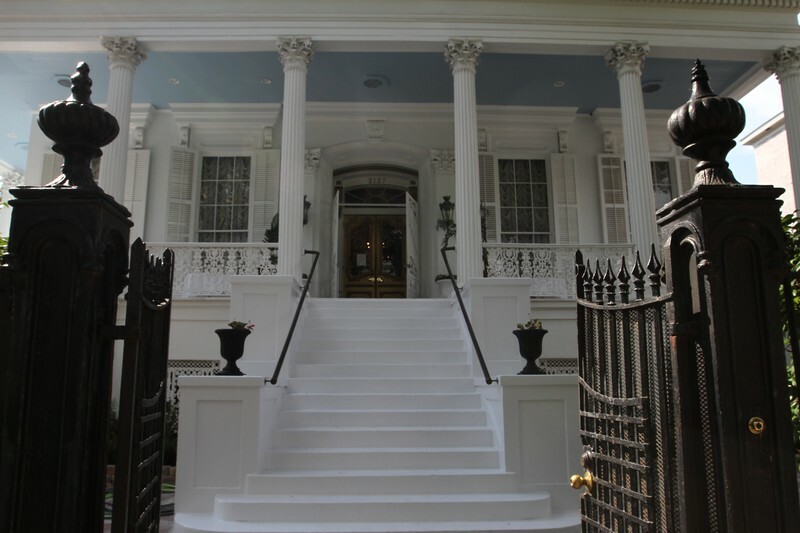 Magnolia Mansion is the perfect New Orleans Bed and Breakfast, for those seeking a peaceful Getaway to celebrate any special occasion such as an anniversary, engagement, honeymoon, elopement, proposal, birthday, or a quiet weekend away. Feel like royalty in our accommodations of up to nine luxurious uniquely themed guest rooms; each with a private bath. Is the mansion haunted? You'll have to find out for yourself. New Orleans is one of the oldest cities in the United States and one of the most haunted cities in the world. Come and experience the hauntings of our Crescent City. Why not start off by staying at a Magnolia Mansion? Also in the area is the home where the famous Vampire Novelist Anne Rice lived up until recently. After the death of her husband, Anne Rice pulled up stakes and moved to neighboring Kenner. But her lavender Greek Revival/Italianate home-the setting for her novel The Witching Hour-still drawing visitors (1239 First St.), as is her other Garden District Property, St. Elizabethâ€™s Orphanage (1314 Napoleon Ave.), now slated for condominiums. They offer daily walking tours in Garden District, with costumed guides relating historical spooky tales. See what others are saying and have experienced while staying at the mansion.